Company Brief - Wenling Tingwei Vacuum Equipment Co.,ltd. 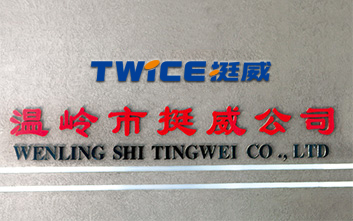 Wenling Tingwei Vacuum Equipment Co., Ltd established In 1996,specialized in pump research, development and production. Currently, Company covers an area of more than 6000 square meters, and the area of the building Is 12000 square meters. Our annual output of vacuum pump has reached 20 million units. We have strong technical strength, advanced production equipment, the products export to Europe,America,Southest Asia,and more than 60 countries and regions. At present,company mainly produce single stage and double stage vacuum pump,Refrigerant recovery machine,and HVACR equipment, Axial fan flow etc.All of these products have passed ccc,ce,Rohs,Etl certification. At the wave of trade globallzation,the company will continue Integrate with the world market,with excellent quaiity,perfet service,and meet the challenges actlvely.we will continue provide high quality products and good service to our old and new customers.